Bed Breakfast Scotland Dog Friendly: As a dog friendly bed and breakfast option in Scotland, Rosemount Hotel Pitlochry ticks all boxes. This is one of the smaller and most welcoming dog friendly hotels in Scotland. Sometimes you have to choose the smaller end of the hotel market to have the friendly, attentive and personal service of a B&B, whilst being able to enjoy the few extras not normally included in a B&B offering. Our service for pets has been widely acknowledged as highly effective and we are constantly seeking to improve this. 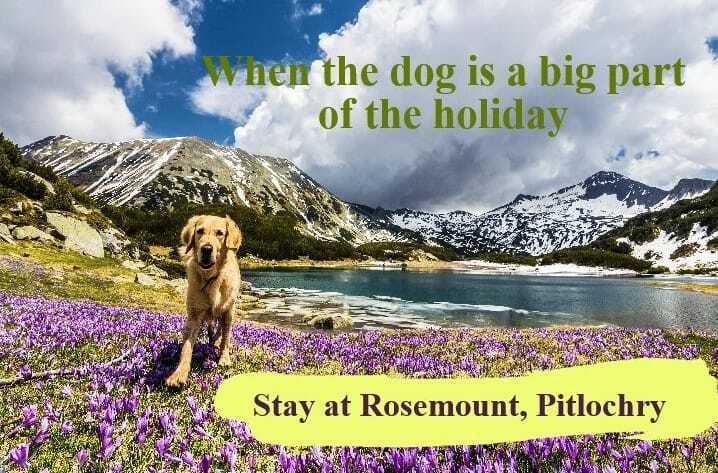 Rosemount Hotel, Pitlochry – a genuinely pet-friendly hotel with excellent facilities for dog-owning families. Browse and Book! 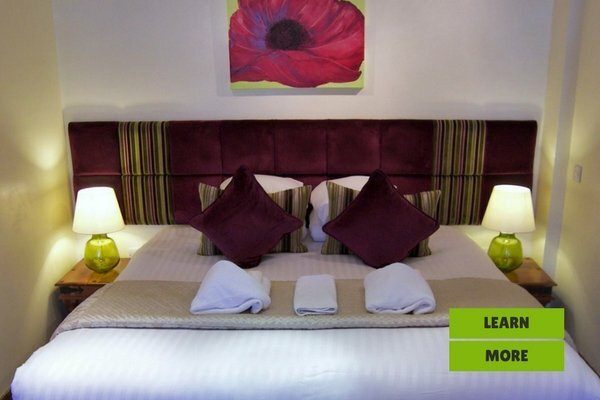 This dog friendly hotel in Pitlochry has a location that is just 5 minutes from the main street. This means that we are peacefully located, yet convenient for all that the town has to offer. We enjoy gorgeous views over the Tummel Valley and then upwards towards Ben Vrackie. 40 miles of waymarked trails through forest, along river and loch, or up stunning hillsides, lead from our door. This makes us ideal for a dog-inclusive holiday. We have a number of rooms in which pets are most welcome. Starting with the largest, our Ground floor Junior suite can sleep up to a family of 4 with up to two dogs, or a smaller family with 3 dogs. This particular room is ideal for families with or without pets. 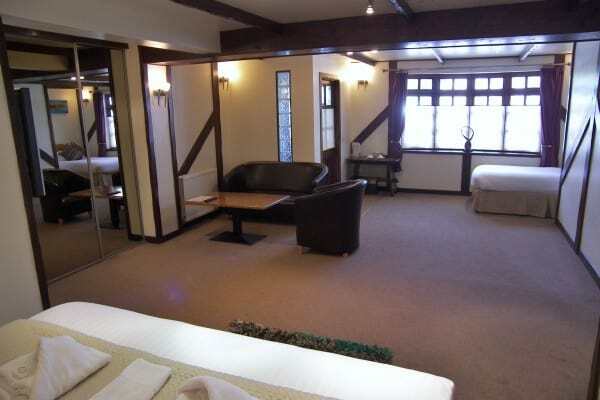 It is extremely spacious and has an additional door to the outside of the building. For added convenience car parking is available directly outside. There is also plenty of storage in the room. In addition to a personal welcome to each of our canine visitors, we offer dedicated areas for dining with pets in company. There are two lounges where pets are welcome to sit by the fireside as their owners chat. Conversations are generally started over a funny doggy-tale. Each of our dog-visitors is treated as a guest. 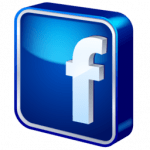 We ask for typical courtesies that come naturally when sharing our dogs in space used by others. That is never a problem, since these come naturally to dog-lovers. We hope we are going to get to meet you and your furry friend!